Stephanie received a BSc in Biology from Simon Fraser University in British Columbia, studying organic chemistry, molecular biology and physiology. She did further training in Nutrition, toward a certificate of Applied Human Nutrition from the same University. There she began teaching nutrition and integrative health in the Kinesiology department for 2 years as a Teaching Assistant and an Instructor. Her focus during this time was on community development where she organized a number of conferences and spoke as a nutrition educator, for community kitchens and youth sport camps. She went on to study at the Canadian College of Naturopathic Medicine with experience at Sherbourne Health Centre for HIV/AIDS, and a month long externship in Central Kenya providing mobile health service to remote villages. She received her designation of ND in 2010. 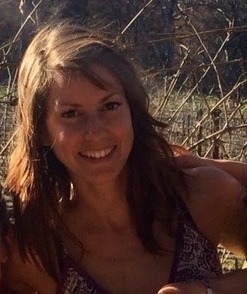 Stephanie aims to build community where she practices, ensuring support in healing exists as a part of everyday life. Stephanie’s treatment focus varies according to each individual, drawing on her strengths in nutrition, botanical medicine, acupuncture, hydrotherapy and counseling. She places the highest importance on listening and empowerment. As an eclectic practitioner, she is able to treat a host of chronic and acute conditions in a primary care setting. Dr. Michael Knapp completed his Doctorate of Naturopathic Medicine at the National College of Natural Medicine (NCNM) in Portland, Oregon. After completing a competitive residency program at NCNM he opened his practice in Flagstaff, Arizona. Dr. Knapp utilizes a balance of nutrition, botanical medicine, homeopathy, hydrotherapy and prescription medications to promote wellness and treat disease. Dr. Knapp treats a wide variety of acute and chronic complaints such as: the common cold/cough/flu, diabetes, multiple sclerosis, headaches, depression, anxiety, ADHD, celiac disease, IBS, and digestive complaints. He has an emphasis in helping children with behavior and attention problems and is committed to helping children grow to be healthy adults. He has advanced training in homeopathic medicine, which addresses health on an individualized basis. Throughout his time as a student he repeatedly witnessed simple lifestyle changes yielding healthy results and found homeopathy to have a wonderful impact on the health of his friends and family, who underwent positive changes in mood, PMS, headaches, joint pains and other complaints. He has integrated this approach into his practice with great results. He takes the time to understand you and your health concerns and creates an environment for patients to achieve positive health results. This is his passion because it is gentle, holistic and it works! After receiving his BS in Biology from Drake University in Des Moines, Iowa, Michael worked as a nurse assistant on a surgical ward to continue preparation for medical school. Dissatisfaction with the hospital setting and treatment philosophy led him to question his path to become a physician. Couldn’t something have been done for patients before they needed surgery? Is there a way for doctors to treat people and not simply mask their symptoms? In expressing these concerns to his acupuncturist, he was introduced to the approach he’d been searching for, Naturopathic Medicine. He declined his acceptance to a local medical school and pursued training as a doctor that embraces the future of medicine while cultivating roots in tradition.